U.S. News provides updates on the shooting at the Washington Navy Yard on Monday, Sept. 16, 2013, in Washington, D.C.
D.C. police chief: Call 1-800-CALL-FBI to report tips about the suspects and shooting. At least six people have been killed and eight more injured in a shooting rampage at the Washington Navy Yard in the southeast corner of Washington, D.C., according to law enforcement officials. D.C. Metro Police Chief Cathy Lanier said the police are looking for two potential suspected shooters, both potentially dressed in military-style garb. One shooter has been confirmed dead, according to law enforcement. Alley Gibson, 28, was late to work when she arrived at Navy Yard. She said people were fleeing the building. "It was so strange. People were yelling, 'Get out, get out.'" 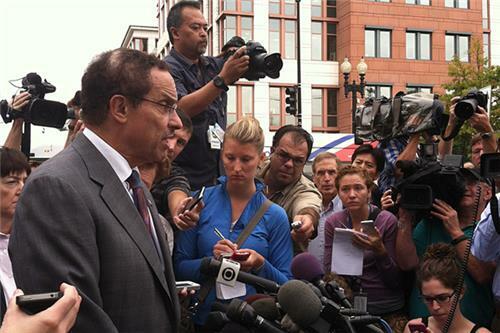 D.C. Mayor Vincent Gray says there are at least 12 dead in the shooting. He adds they are still unclear about whether there are shooters still at large. D.C. Metro Police Chief Cathy Lanier says they are now transferring to an FBI-led investigation. She adds they are still on the lookout for a white male between 40-50 years old wearing a tan, Navy-style uniform and a 50-year-old black male. No update on a potential motive for the shooting. Sen. Jeanne Shaheen released a statement Monday afternoon on the Navy Yard Shooting. “My thoughts and prayers are with the victims of this morning’s shootings and their families. While officials are still gathering information about this senseless act of violence, I am hoping that those responsible for today’s tragedy are immediately brought to justice," she said in the release. Lanier says she can't comment on evidence found at the scene. "We are still doing an extensive search," she said. Sen. Mitch McConnell, R-Ky., released a statement Monday condemning the shooting at the Navy Yard. "The men and women in our military courageously put their lives on the line in many dangerous places around the world. It's painful for all of us to think about them having to worry about their safety when they come home too," McConnell said. D.C. Mayor Vincent Gray says one of the potential suspects police were looking for has been interviewed and released, after law enforcement determined he was not involved. 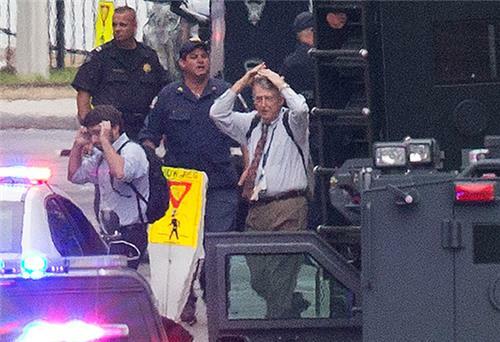 Gray says there are now at least 13 dead, including the alleged shooter. 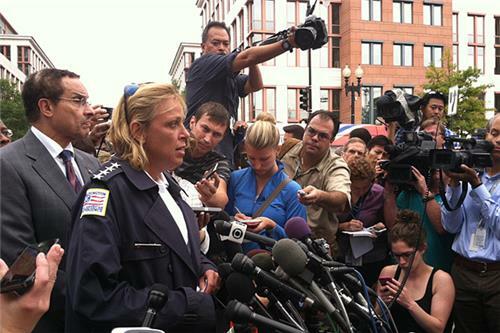 D.C. Police Chief Cathy Lanier says the Washington Navy Yard shooting is still a "very active" investigation. She asks commuters to stay away from SE, and adds that the neighborhood is still in lock-down mode. FBI confirms dead alleged shooter is Aaron Alexis, a 34-year-old from Fort Worth, Texas. Lanier says there were "multiple incidents" where law enforcement engaged in a gun fight with the alleged shooter.